Based on the movie 'Star Wars: The Force Awakens' this action adventure game has been released on PS4, PS3, XOne, X360, Wii U, and PC. It is also on PS Vita, 3DS and iOS Mobile. Relive the adventure of the newest film playing as characters such as Rey, Finn, Poe, and even BB-8. 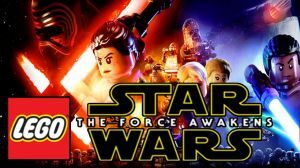 No discussions open for LEGO Star Wars: The Force Awakens at the moment.